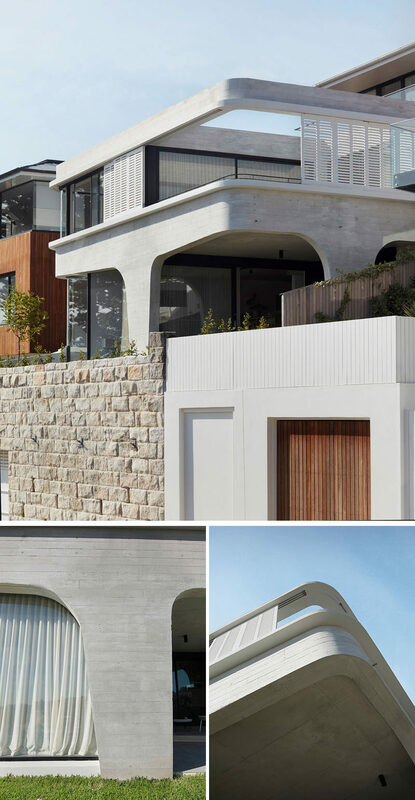 Luigi Rosselli Architects have designed a new house built above an existing garage and sandstone retaining wall, in a suburb of Sydney Australia. 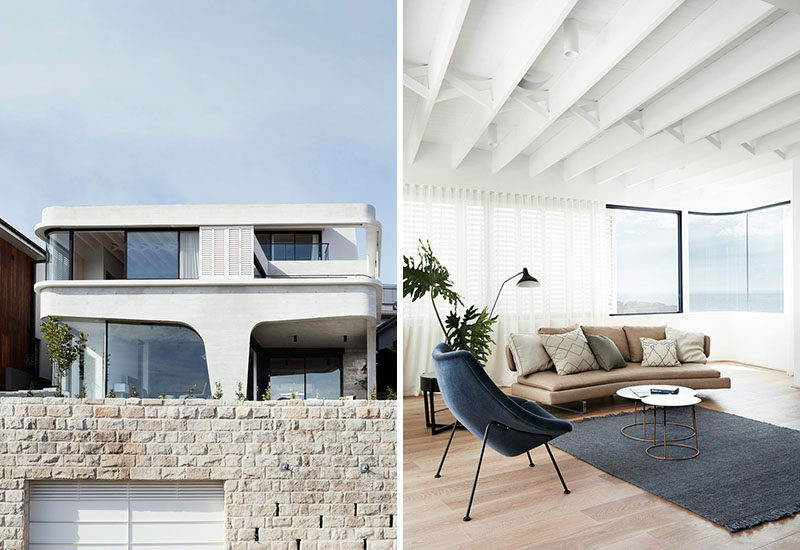 Off-white cement used in the concrete architecture gives the house a light appearance, while CNC routed marine plywood shutters provide shade or wind protection. Stepping up from the garage is the lower floor of the house, that has a teenager’s area with a rumpus room and covered terrace. Following the stairs from the teenager’s space, you reach an open plan living space, with the dining room at the top of the stairs. The dining area is anchored in the space by the use of an ‘Oracle’ pendant by Christopher Boots. Next to the dining room is a Roscharch Blotch fireplace, that’s located centrally in the open plan living floor, as with the traditional northern European ‘Stube’. 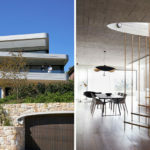 The freeform fireplace, with a gas burner is inserted into a masonry base and finished with a Rockcote render, is the pivoting point at the intersection of the dining room, TV room and kitchen. 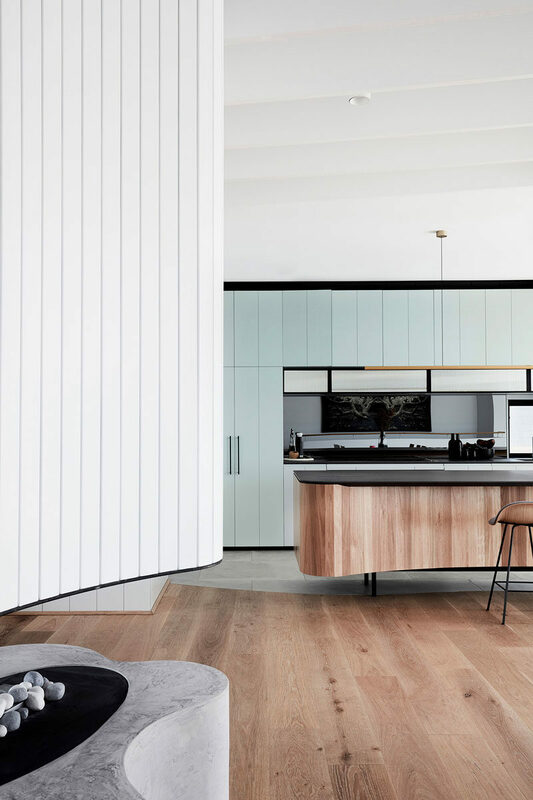 In the kitchen, light blue cabinetry by Building With Options has been combined with a reconstituted stone benchtop and an island covered with vertical wood pieces. 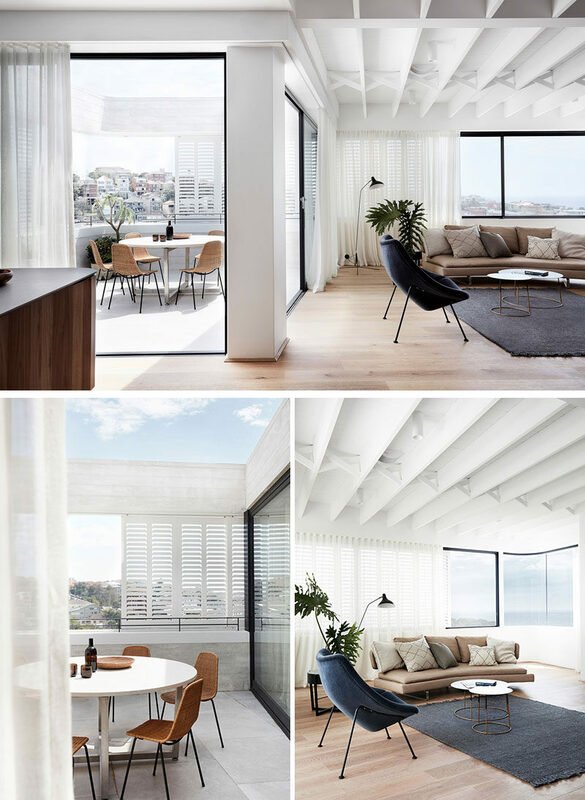 Here’s a look at the terrace and living room. 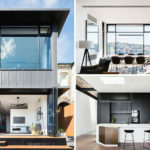 The shutters on the terrace form private screens when viewed from the street but are see-through when the occupants look outward towards the view. Inside, the living room has exposed ceiling joists that have been braced with traditional criss-cross braces. 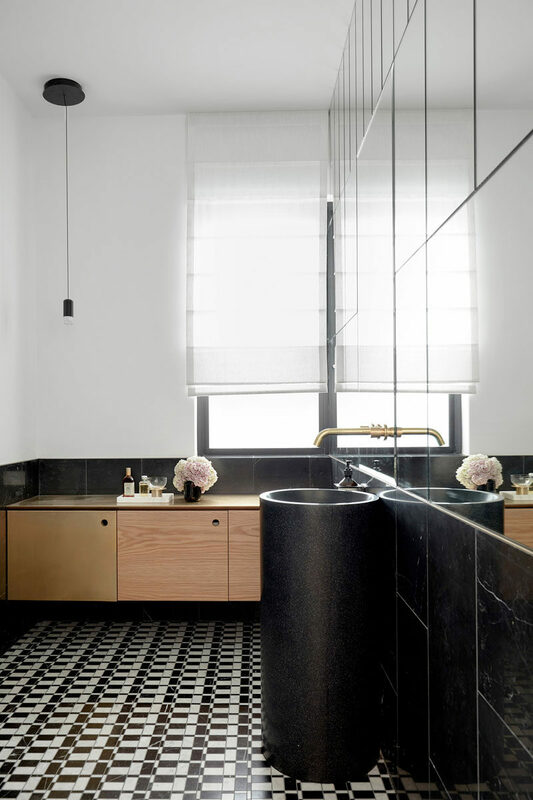 In one of the bathrooms, the upper part of the wall is covered in mirrors, making the sunlight from the window reflect around the mostly white and black interior. 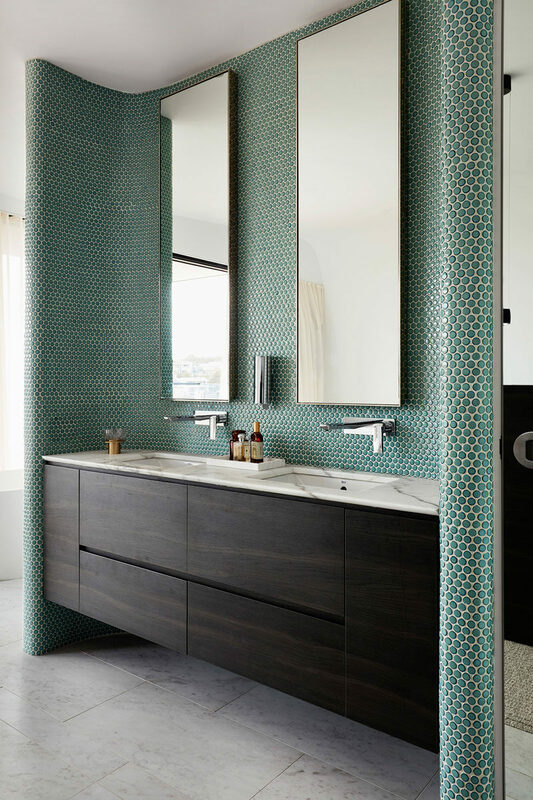 In another bathroom, green penny tiles have been used to create an accent wall behind the tall mirrors and vanity.